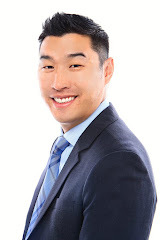 Alan Wang Realty Group Real Estate Blogger: Alan Earns Keller Williams Top Associate in Closed Volume for 2010! Alan Earns Keller Williams Top Associate in Closed Volume for 2010! I wanted to extend a big thanks to all my clients for your referrals and business over the years. For the second year in a row only with the help of your referrals I have earned the Keller Williams award for Top Associate in Closed Volume for 2010 and earning this 2 years in a row! This is an extreme honor as there are over 450+ agents in my office and currently I am in the top 5 at the office. This could not have been possible without your trust and referrals. I wanted to take a moment to thank each and every one of you for your business. I will be posting a mid 2010 update shortly, apologies for the radio silence, I have been busy making sales!